Graphics Card what is that and why we need this thing in our PC to run Graphic intensive games on our Computer. Graphics card is also known as GPU which help our PC to enhance graphics performance which is previously did by your Processor by just adding a Specific Graphics card Processor get relief from graphic work and then CPU did combined work with GPU to make the overall experience of your PC smoother, faster and better. There is a myth in the market that GPU is only required if you want to play games on your PC which is completely wrong graphics card is required for other works to like Photoshop, Video Editing, 3D Work, AutoCAD and more. But If you are here then you definitely know the importance of Graphics Card on your PC and we will help you to choose the best graphics card for your PC build under Rs.5000 in India. if you can spend Rs. 10,000 for much better gaming performance then check out our list of Best Graphics card under 10K. That is one of the Top-Rated Graphics cards on Amazon under the price of Rs.5000 and you guys can buy this right now for the price of Rs.3250. This Graphics card is Powered by Nvidia clocked at 810MHz with Geforce GT 610 Graphics Engine. It has an HDMI Port, A DVI Port for Connectivity. Devil May Cry 4 and more. So, all I can say that the graphics card is bang for Buck. But there are also better options available in the market right now which can offer better specs and value under 5000. But if your Budget is around 3500 then you can buy this one for sure. 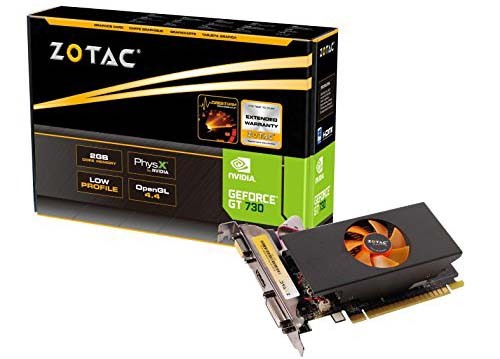 That One is Bigger and Better Brother of Zotac GT610 which you saw above but that also cost higher this graphics card cost you Rs.4999 on Amazon. This Graphics Card Rated 4.8 Stars out of 5 by more than 100 Customers on Amazon you can expect great Performance for this. As Expected you will get 2GB of DDR5 Graphics Memory with a cooler fan and heatsink. 64Bit Memory Interface Bus Standard PCI Express 2.0 clocked at 902 MHz. 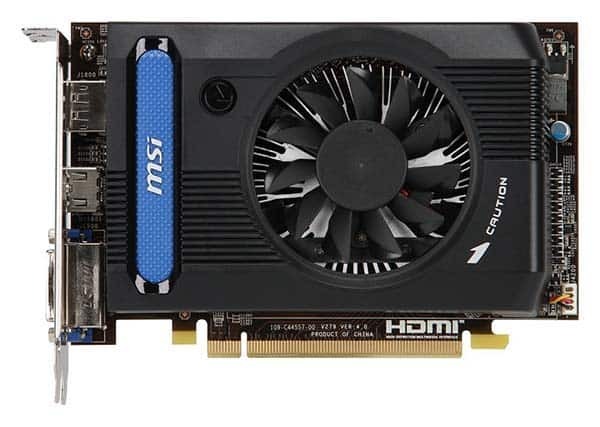 This Graphics card is Powered by Nvidia and It has an HDMI Port, A DVI Port for Connectivity. If you are game lover then you definitely know about MSI because they make great products for gamers out there. 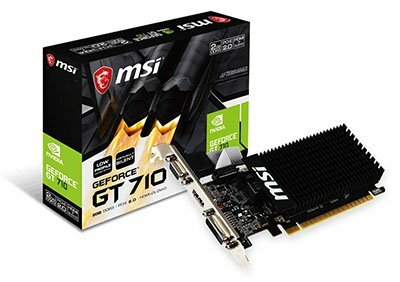 MSI Radeon R7 240 is not an exception it comes with 2GB graphics memory DDR5 and this graphics card has DirectX 12 which is the almost latest version of DirectX. As the name Suggest this Graphics Card Support 4K Display so if you have a 4K Screen then that is a perfect deal for you. This Graphics Card will Cost you Only Rs. 4678 on Amazon.in Which is a great Deal in My Opinion if you are looking for a GPU which can Support 4K Display and Run all games at Decent Settings. This Graphics can Ca Run almost all the games which GT 730 runs. 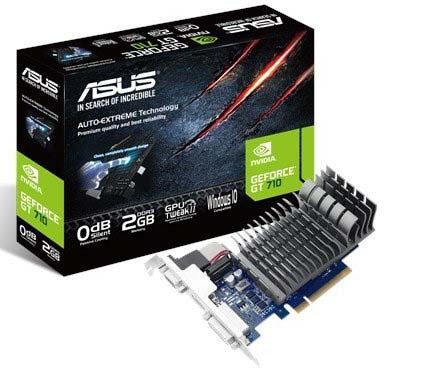 If your Budget is really Tight and wants a Graphics Card which can give you the ability to play almost all the modern games at the lowest price then must take a look at Asus Nvidia Geforce GT710 GPU. For Connectivity it has HDMI / VGA/ DVI and this graphics card comes with 3 Years Asus India warranty. Asus GT710 has 2GB of DDR3 Graphics memory with 64bit Interface. This GPU Comes with the almost latest version of Direct X12 which is a good thing. The only thing which I don’t like this GPU Doesn’t come with a fan so you have to rely on Heat Sync only. and some other old games. If you just want best in this Price range then must go for Gigabyte Geforce GT 730 GPU you can’t get better then this under 5000. This GPU is powered by Nvidia GeForce GT 730 GPU. Integrated with the first 2048MB GDDR5 memory and 64-bit memory interface clocked at 902MHz. it has features dual-link DVI-D/HDMI/D-Sub and more. 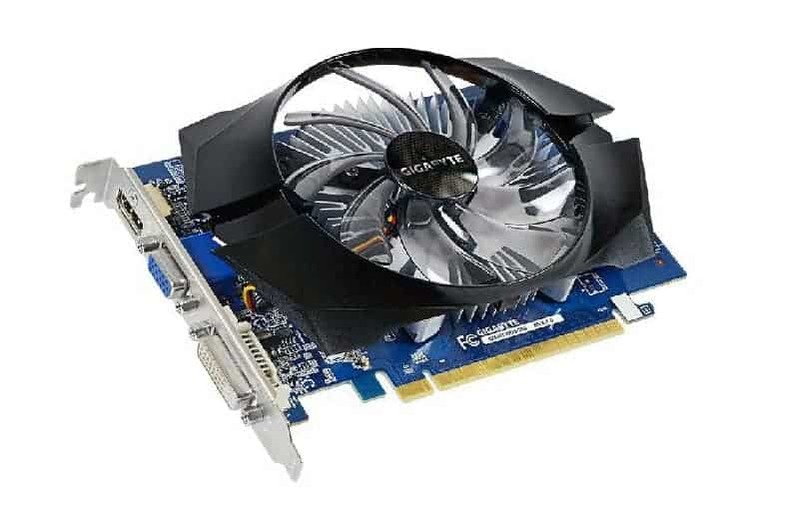 Support PCI express 2.0 x8 bus interface But for this graphics card, you need Power Supply of 300Watt which is must for this type of Powerful GPU. This GPU is Build on 28nm Architecture. Good picks, will i be able to play gta v ?